Written by: Kimberly Langford | June 28, 2016 | Copyright © 2005-2019. All Rights Reserved. The new iGrow Laser Hair Growth Helmet uses a combination of 51 LED diodes and low level lasers to reverse hair loss. Perhaps the most commonly used non-invasive hair regeneration technique used by professionals today is laser stimulation hair growth treatment (also referred to as low level laser therapy). This technology delivers beams of powerful red and infrared light energy to the scalp to encourage healthier scalp conditions. Studies have shown that laser light at specific wavelengths can encourage hair re-growth and improve the condition of the hair. This leading hair loss breakthrough is a gentle and natural treatment that does not cause any side effects or discomfort and can produce noticeable results within several weeks of continued application. Invasive cosmetic procedures such as hair transplants and grafting can be risky, painful, tedious, and can cost thousands of dollars. Professional in-office laser light therapy involves up to 4 visits per week for 30 minutes per session at a cost of about $4000 per year. This makes home laser hair growth therapy a convenient, one time affordable solution with the average personal system costing between $400 and $700. The top two market-leading home hair growth systems are shown below. Both use similar professional-grade technologies, are cost-effective and clinically proven to stimulate hair growth however each system offers a slightly different design and ease of use. The iGrow® Hair Growth Laser is a helmet style device that contains a combination of 51 powerful scalp stimulating LED's and laser lights. Although the unit isn't cordless, it does offer the ultimate in convenience and portability. Equipped with built-in stereo headphones and an iPod® / MP3 connector, this ultra high-tech laser helmet allows you to work at the computer, watch TV or "plug-in" and listen to your favorite relaxing music during treatment. The recommended treatment time is 25 minutes, 2-3 times per week. As the name entails, the HairMax® LaserComb 12 Professional is a hand-held comb through device that contains patented hair parting teeth mechanism and 12 embedded powerful laser lights to encourage hair growth and improve hair quality. The device is cordless however it is not hands-free. Treatment time is 8 minutes per day, three times per week. High frequency uses gentle electrical current to promote healthier scalp conditions and improve hair growth. Trusted and used for years by hairdressers and barbers to promote healthier hair growth, high frequency treatment involves the application of low level electrical current to the scalp which naturally revitalizes dormant hair follicles by increasing blood circulation and encouraging cellular turnover. Purifying oxygen molecules are delivered to the skin via a special glass electrode to help to exfoliate the area, open up the pores, eliminate harmful toxins and allow applied scalp treatment topicals to penetrate much deeper below the surface of the skin. This "push" action helps to greatly maximize the effectiveness of ones hair growth treatment products. Considering that the average cost of one professional high frequency treatment is $100-$125 with a series of sessions recommend several times a year, an in-home treatment system will pay for itself after only a few sessions. Learn more about the benefits of high frequency technology for the skin and hair. Recommended by skin and hair professionals is the Jellen® Portable High Frequency Machine which offers a cost-effective approach to hair restoration and rejuvenation that is safe, natural, relaxing and virtually painless. The system comes complete with a set of three glass electrodes including a comb/rake which is intended for use on the scalp and hair and it's ease of use and portability make it perfect for home use. No longer is it necessary to spend thousands of dollars on medical office visits to stimulate hair growth. With the emergence of new and innovative portable technologies, clients now have the option to carry out therapeutic treatments at home, without breaking the bank! Perhaps one of the easiest ways to naturally encourage healthier hair growth is through regular vitamin and mineral supplementation. Maintaining adequate vitamin and mineral levels by eating the proper foods and maintaining a healthy lifestyle is crucial to an optimally functioning body. 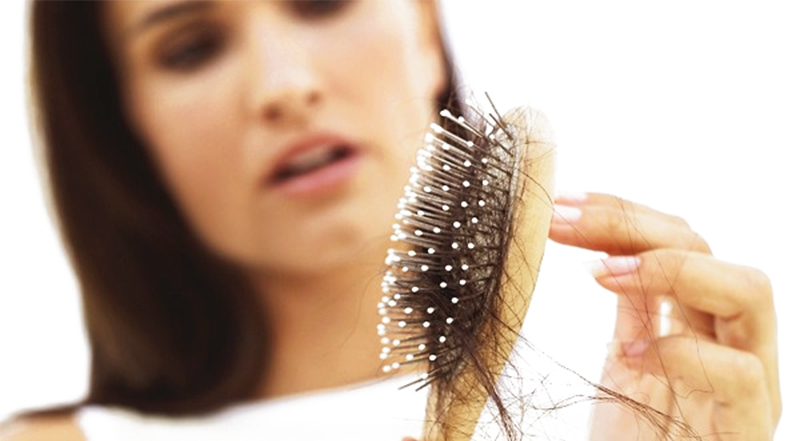 Deficiencies in levels of iron, zinc, vitamin D and certain B vitamins, can lead to health issues including hair loss. Even those with normal vitamin and mineral levels might want to consider supplementing to improve the condition of the hair and achieve a more rapid rate of hair growth. It is important to remember that taking too much of one vitamin may lead to an imbalance in another. To avoid unintended deficiencies, I suggest taking a once a day balanced supplement such as Naturenetics "HairAnew" biotin hair growth vitamins. Designed for optimal hair health and growth, this top-rated quality vitamin and mineral formula contains one of the highest Biotin concentrations of all complexes in addition to 10 other specially selected vitamins, minerals, trace elements and amino acids to help nourish and stimulate your hair follicles from the inside out. Ultrax Labs makes a highly rated hair growth supplement called Hair Maxx that incorporates a breakthrough ingredient called solubilized Keratin that increases hair growth and thickness. This form is more easily absorbed by the body and rapidly directed to and utilized by the areas that need it most such as the hair and scalp. Phytoceramides have taken the skin and hair care market by storm recently and have even been referred to by some as "the alternative to Botox". They help all of the cells in your body retain moisture and work more efficiently. As we age, the moisture retaining protective barrier on our skin tends to thin. Phytoceramides help re-hydrate the skin from the inside out and boost cellular renewal. This helps improve the condition of the skin, hair, nails and internal organs. Phytoceramides have been used in topical form in Asia for many years and has just recently been approved by the FDA for use in the United States. Specially formulated supplements such as the highly touted Dr. Tobias' Phytoceramides Plus Biotin and Skin Bliss™ Blend and Phytoceramides With Lypowheat™ by trusted brand Life Extension have not only been shown to support healthy skin but to also help the nails and hair grow thicker, healthier, and at a faster rate. Cleansing with a quality hair re-growth shampoo is also important. There are several shampoos designed for both men and women that with continued use can help to encourage hair follicle vitality and improve scalp conditions. Ultrax Labs has created a promising new hair growth line called Hair Surge which includes a stimulating shampoo and companion conditioner formula that uses concentrated caffeine compounds shown in studies to effectively revitalize the scalp and promote new hair growth. This product works by literally "waking up" dormant hair follicles by stimulating circulation to the scalp. Those seeking a gentler organic and sulfate-free approach to restoring scalp conditions may consider a natural hair growth shampoo such as Art Naturals Organic Argan Oil Hair Loss Shampoo. This highly rated special formula is infused with biotin, a blend of nourishing and deeply hydrating oils and is rich in vitamin E and key fatty acids which have also been shown to effectively stimulate the hair follicles and encourage healthier hair growth. A quality clarifying shampoo such as Neutrogena's Anti-Residue Formula is also highly recommended once or twice per week to help remove built up residues, create healthier scalp conditions and encourage new hair growth. I find that it gives my hair a great "bounce" after use because it removes traces of any residual hair styling products that tend to accumulate and weigh down my hair after a while. Those who use hair color should not use this product as it may strip the hair of applied pigment. Scalp massages can help to promote blood circulation which in turn nourishes and stimulates the hair follicles. A scalp massage will also provides a sense of relaxation and well being and help offset stress which can be a contributing factor in hair loss. There are a variety of manual and electronic therapeutic massage tools that can be used in conjunction with serums, oils and shampoos to conveniently and inexpensively revitalize the scalp at home or even at the office. For those seeking a cordless scalp massage solution, Breo's iScalp Scalp and Body Massager offers interchangeable treatment heads, an easy-to-use ergonomic design and is both waterproof and rechargeable. Those on a budget may consider a battery operated unit such as Vitagoods Scalp Massaging Shampoo Brush which is designed for use in the shower. Given my love for all high tech gadgets and beauty devices, I have been eyeing a new electric scalp massage helmet by NORLANYA that revitalizes the scalp and encourages hair growth through the applications of gentle air pressure, far infrared light, targeting specific acupuncture points, and emitting multi-frequency vibration inside the helmet. 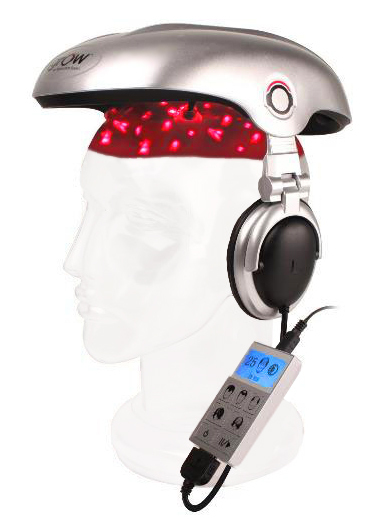 This gizmo is adjustable to fit a variety of head sizes and even offers relaxing music selections to enhance the scalp message experience! I would love to hear your feedback if you've been lucky enough try it! Last but not least, if you are looking for an inexpensive "do-it-yourself" alternative, VitaGoods makes a great stimulating manual Scalp Massager in various colors. It can be used in the shower or on a dry scalp. I own one of these fantastic gizmos and I must say, it definitely offers the ultimate in relaxation - especially when you can get someone else to massage your scalp on your behalf!